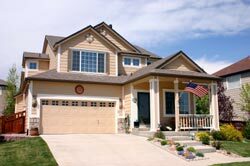 Kuna Property Management, Kuna Property Managers, Kuna, ID Property Management Companies. Morgan Property Management is set to increase the value of your investment, reduce your risk with our knowhow, and perhaps even provide some peace of mind in the process. Managing rental property requires considerable attention and a wide array of expertise. We have the experience and resources to achieve your rental property goals. Our rental inventory is currently about 80% single-family homes and 20% multi-family housing. Although we aren’t the biggest management company in town, we operate with their efficiencies and continue to keep a high level of personal service as we grow steadily and surely. We have an impressive track record in placing quality residents. We attribute this success to our extensive marketing efforts, advanced screening process and commitment to exceptional service. We believe that one of the most important parts of professional property management is finding a quality resident for your home. Morgan Property Management employs a quality marketing program. Most important is our reputation. We are known for quality homes and professional management practices. Promotion efforts include RE brokerage exposure, media advertising, social media, signs, our company web site, and a vast network of online media. After a potential resident is located we conduct an extensive screening process. This process includes credit reports, extensive criminal checks, animal licensing, reference checks and personal interviews. After acceptance, we complete negotiations, execute contracts, process documents and install the resident in the home. As professional property managers, we collect rents, deal with resident issues, periodically inspect the property and personally supervise the home. The manager provides an “arm’s length” relationship between owner and resident. By maintaining excellent relations with our residents and diligently caring for your property, we avoid many potential problems. Residents are informed of their responsibilities regarding your property and their contracts as we believe education is the best prevention. We will quickly and professionally settle any problems that may arise, with our clients’ interest in mind. If there is a problem, whether it is collecting rents or settling resident disputes, we will handle the situation appropriately. 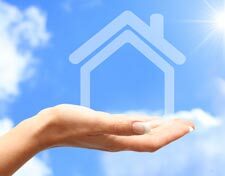 We are knowledgeable in the legal and contractual relationships involved in renting property. If necessary, we are prepared to make a court appearance. We utilize quality control procedures and proven business practices in the management of your home. In addition to the routine management of your home we are on call 24 hours a day for emergencies. To control quality, costs, and to manage the risk, we’ve established relationships with experienced contractors that perform quality work at preferred rates and have been thoroughly tested through years of service. Let our relationships save you money. Quality maintenance personnel means work is completely in a timely fashion, at competitive rates without excess, while preserving the value of your investment. The actual maintenance expenses for the home are the responsibility of the homeowner. Every effort is made to control maintenance costs while maintaining the integrity and value of the property. Maintenance that is the resident’s responsibility or fault is billed to the resident. Income proceeds are direct deposited twice a month: on the 10th for on-time payments and the 25th of the month for late payments and mid-month move-ins. Online accounting is available at all times with access to invoice copies and advanced reporting features. We’re of firm belief that a good property manager is an integral part of your rental investment strategy and should help save you time and money through reduced vacancy rates, proper rents, time savings, and preservation of property value. With that in mind, we still believe it is our responsibility to have an organized, efficient work system that brings you the quality you deserve without wasteful spending and practices. Property management is a very competitive business. Some property managers only offer a standard management service or “lease-up” service while we offer a full service solution taking care of everything from start to finish. There are different ways property managers can charge for services. It is important to ask what services are optional or available. Be sure to understand all possible charges other than a percentage of the rent. Our fees are addressed completely in the property management agreement and are quite straightforward. Rather than cheapen or limit our services to stay competitive, we develop efficiencies to improve our work system and offer full service management at very competitive rates. Service fees are computed as a percentage of the gross rents collected. Our fees range from between 6% and 9% of the monthly rent amount. Industry expertise: We understand the industry and know how to stay ahead of the game. Our vacancy rates are consistently far better than the average while getting the best market rate without sacrificing quality of tenants. Extensive marketing power and referral network: We attract the broadest and most qualified pool of prospective residents. We’re investors too: We can help determine rental rates BEFORE you buy and are conscious of being cost-effective in proper property preservation. Skill in negotiations with residents: Potential residents must pass our rigorous screening process. We have the experience to locate the qualified resident and timely complete the best rental transaction. Comprehensive understanding of the laws: State and Federal Housing Codes and Fair Housing Regulations. Strong Lease and Work System: The Lease Agreement is an important part of protecting your investment both legally and in showing tenants what is clearly expected from the start. We even have a video presentation for new tenants to really drill the rules into memory. Accurate accounting reports: We provide monthly itemized statements and year-end tax summaries. Rent proceeds are directly deposited to your account. Property inspections: 12 exterior property surveys yearly. Preventative maintenance inspections available on semi-annual or quarterly basis for a nominal fee. Enforcement of contractual compliance: We know the appropriate action for handling any problems that may arise, including non-payment or other violations of the rental agreement. Proficiency in home maintenance: We can ensure that your property is well cared for and that appropriate and timely repairs are undertaken at a reasonable cost. Peace of mind: The industry experts are on your team. Let us take the stress and worry out of owning rental property. We’re of firm belief that a good property manager is a valuable part of your rental investment strategy and should help save you time and money through reduced vacancy rates, proper rents, and preservation of property value. With that in mind, we still believe it is our responsibility to have an organized, efficient work system that brings you the quality you deserve without wasteful spending and practices. As such, our management rates are typically about 10% lower than other property managers with a similar level of service. Kuna is a city in Ada County, Idaho, United States. Kuna originated as a railroad stop with coach transport to Boise. It is popularly believed, as cited by the Kuna Chamber of Commerce, that the translation of the name "Kuna" means "the end of the trail", but Charles S. Walgamott cites the origin of the name as a Shoshone Indian word meaning "green leaf, good to smoke".